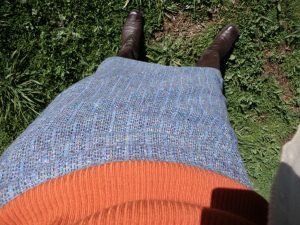 This week I just finished making myself a lined wool pencil skirt, a project so conservative and ordinary I wondered if I should blog about it. It took two evenings to sew, after I’d cut it out, and I wore it yesterday for the first time. It worked out really well and was very comfortable. A high quality wool skirt is an excellent winter wardrobe investment (especially if you’re a conservative dresser like me) and doesn’t take much fabric. A straight skirt is smart and always looks like you’ve made an effort. Only drawback: no pockets. 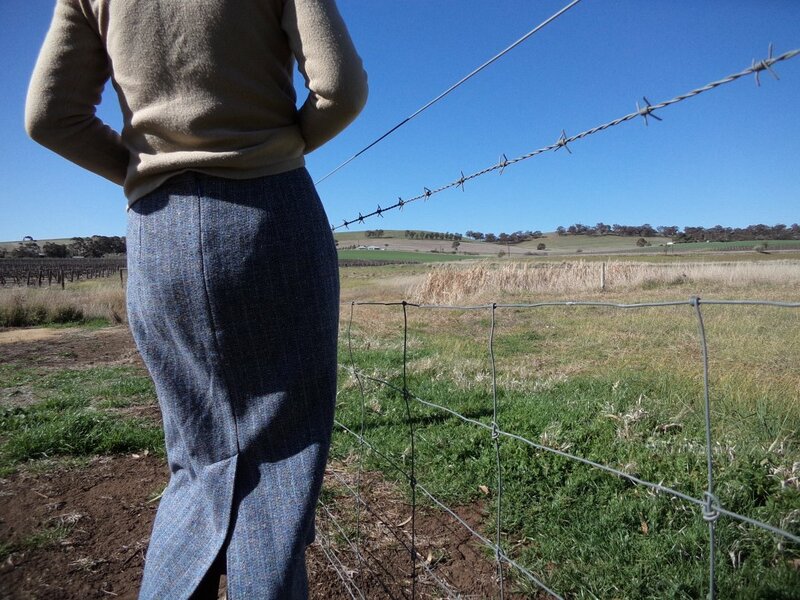 Pencil skirt patterns are very straightforward: a straight skirt with darts, waistband, centre back zip and vent. Actually pencil skirts were first thing we sewed when I was a fashion student, but I’ve come a long way skills-wise since then. This pattern is a new skirt block I plan to use for the upcoming patternmaking workshops. Pretty happy with it! The fabric came from the op shop. It’s a flecky wool, very soft and almost felt-like. It’s very malleable and sewed and pressed like a dream. There was just enough for a skirt. The fabric is striped and I re-positioned the darts to land in the centre of a stripe. The length is just long enough to cover the tops of my boots and looks surprisingly good with lace-up shoes. The skirt is slightly tapered. 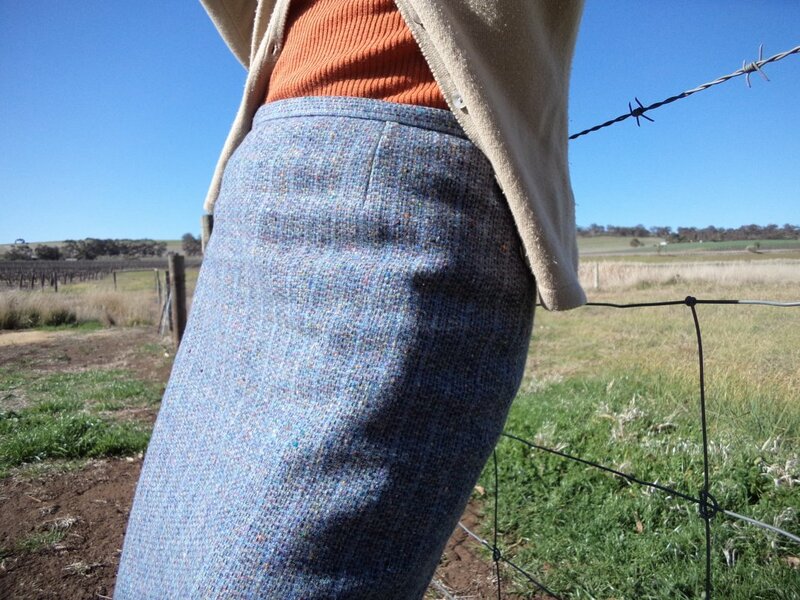 Tapering always improves straight skirts, otherwise the skirt looks too square and boxy. 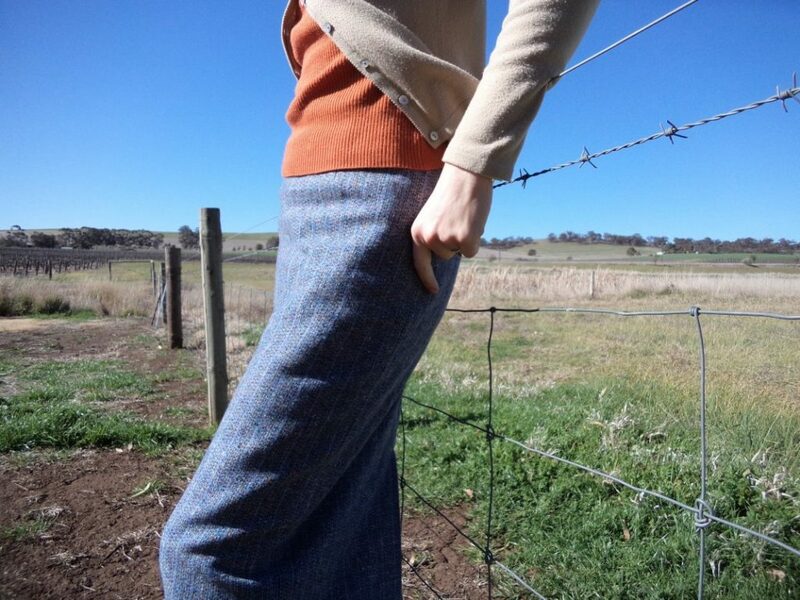 For an above-knee length, I would take the sides in 1cm (=4cm total in hem circumference). For a below-knee length like mine, about 1.5cm-2cm (=6cm-8cm total), and for a floor-length skirt 4cm (=16cm total). 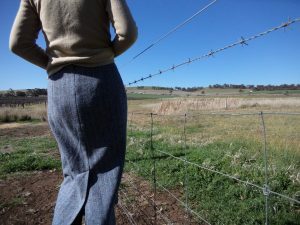 Lined wool skirts last for decades. I have some I made over twenty years ago and they still look good. They hardly ever need washing, because they’re lined and one wears tights (and maybe a petticoat) with them, so the fabric never touches the skin. When I worked for a dressmaker we re-lined some very old wool skirts which belonged to an elderly lady with dementia. She’d made them herself many years ago. When her daughter bought her new clothes, she wouldn’t wear them saying they belonged to someone else. So the daughter brought in the skirts and we refurbished them. We replaced torn linings, caught up hems and sewed on buttons, and they were as good as new and testament to the quality fabric she’d chosen. Hi Liz. Reminds me of ‘the suit’ (the brown tweedy one I had for years) – I relined the skirt twice, then I think I took off the waistband to accommodate growth!. Hi Mum, you gave that suit to me and I still have it. I think you wore it for about 15-20 years? Purchased 1977? Hi Liz, the understated often speaks volumes, thanks for choosing to blog it. I too, tend to dress conservatively – I can feel overwhelmed by busyness and lost in detail. Perhaps being 5′ nothing has something to do with it. It looks like a beautiful fit and I love the fabric. I think I might have or had some very similar. Some time ago, i did a big clean out of fabric as I wasn’t and hadn’t been sewing for quite some time and wondered if I ever would again. BUT I am making a slow comeback….. with a reduced stash. 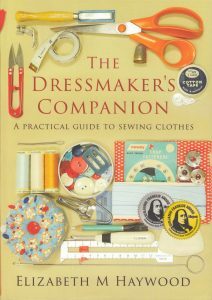 Thanks for keeping on with the blogging inspiration and what a wonderful book! Hi Julie, thanks for the encouragement. There’s an inclination to think that conservative equals unfashionable, boring or ordinary but it often doesn’t. It can be smart and versatile! Great to hear of your comeback to sewing. Sometimes a clear out and hiatus is just what’s needed. Cheers! Not just being 5′. I’m 6′ and not quiet in personality thus feel my clothes don’t need to be “chattering” away saying a lot. For me, interest in colour, style or fabric not all 3 at once. Like the pencil skirt – subtle stripes lift above plain but don’t shout.